In case you missed it late last week, the Senator Foreign Relations Committee voted 17-4 to advance The Taylor Force Act to the floor for full consideration. The bill was introduced in February after 28-year-old American Taylor Force was murdered by a Palestinian terrorist in Jaffa, Israel. Force, an Eagle Scout and West Point graduate who served in Iraq and Afghanistan, was visiting the country in 2016 after leaving the military and transitioning to civilian life. The family of the terrorist who killed him was financially rewarded by the Palestinian Authority through its “pay for slay” program, which encourages the killing of innocent Israelis or Americans. "If you commit a very -- fairly low-level terrorist act, you get paid $400 a month. If you commit a very egregious terrorist act -- you murder an Israeli or someone else and you get a 30-year sentence, you get $3,500 a month," Chairman Bob Corker said about the "pay for slay" program. “In interviews with prisoners in Israeli jails who had committed these acts, they clearly stated their goal was to ensure that they did something egregious enough to at least get a five-year sentence where the payment is stepped up. This is -- this is sick. This is sick." “I met Stuart Force, Taylor’s dad. We talked extensively. I'm glad that the United States Senate today and the committee, on a 17-4 vote, honored his life by making a change that will affect so many other people," he continued. "It's a bill [Taylor Force Act] now that is very crisp, it's surgical, it's meant to change the behavior of the Palestinian Authority, as he has mentioned so eloquently, but not intended to hurt the Palestinian people that have nothing to do with this law that’s been put in place by their government." Each year the United States taxpayer sends more than $350 million in foreign aid directly to the Palestinian Authority, the most generous of any other country in the world. 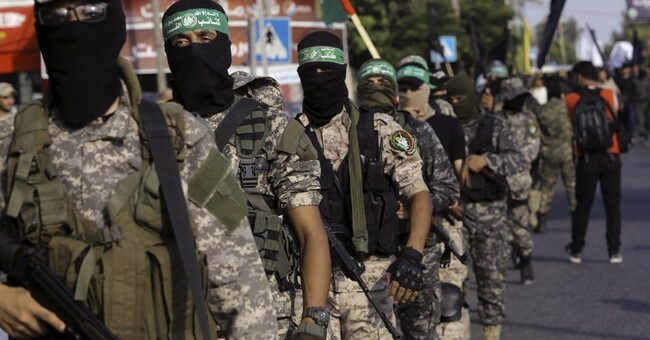 An additional $95 million is shelled out after being funneled through the U.N. That money is then used to pay the families of terrorists to carry out terror attacks, which inevitably encourages violence. Over the past four years, the Palestinian Authority has paid more than $1 billion to terrorists and their families. During his first foreign trip to the Middle East earlier this year, President Trump urged Palestinian leader Mahmoud Abbas to end payments for terrorists during a meeting in Bethlehem.